Designed by Industry Experts and taught by Sparky, an AI-assisted learning platform. 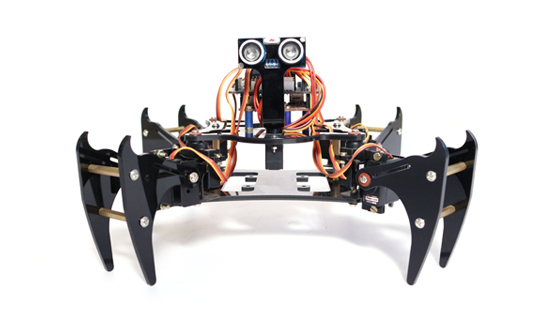 A mix of complex mechanical designing, electronics and programming combined to make autonomous walking Robots! 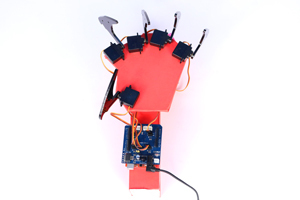 Excited to design your own gesture controlled robot, robot with ultrasonic sensor, and a few other robot variations? Go for it, and explore 100+ projects that can be done in this level. Algorithm framing for controlling, balancing and integrating complex mechanisms is the ultimate requirement in Robotics. This level focuses on Algorithm framing and below are the skills you will gain upon completion of this level. 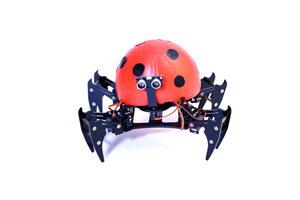 HOW QUADRINO KIT HELPS IN ROBOTICS? 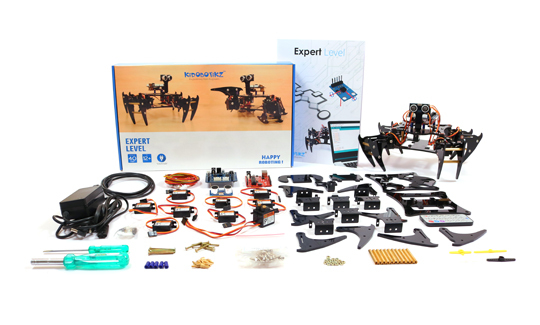 If you know the basics in Electronics, Mechanical and Programming, then this kit is the most apt one to help you master Robotics. 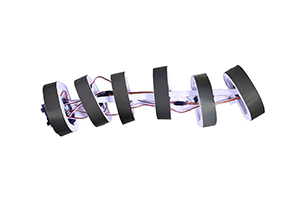 Walking Robots are interesting and exceeding complex to code from scratch. 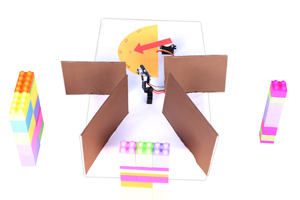 This kit helps you understand the dynamics and the course will help you code a walking robot yourself. 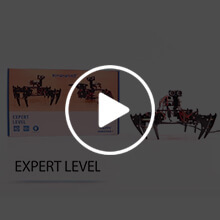 Completing this level, along with the previous 3, gives you an overall experience in Robotics - with a strong foundation in all domains of engineering. At the end, you will know which field your interests lie in and which is your strength. Self-realization is the most important factor for success - and that’s exactly what you will discover at the end. These are some of the example videos done by members of our community who have learnt this course online. 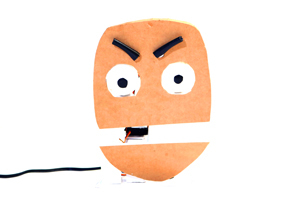 Take a look at the creative ideas after learning the Programming and Algorithm concepts using the kit. BECOME A PROUD MEMBER OF THE BEST TECH COMMUNITY AND SHOWCASE YOUR TALENTS. What are the other items required to learn with this kit? You simply require a PC or tablet with Internet Connection. Ideally, utilize Google Chrome browser to learn on the web. What can I make with this kit? 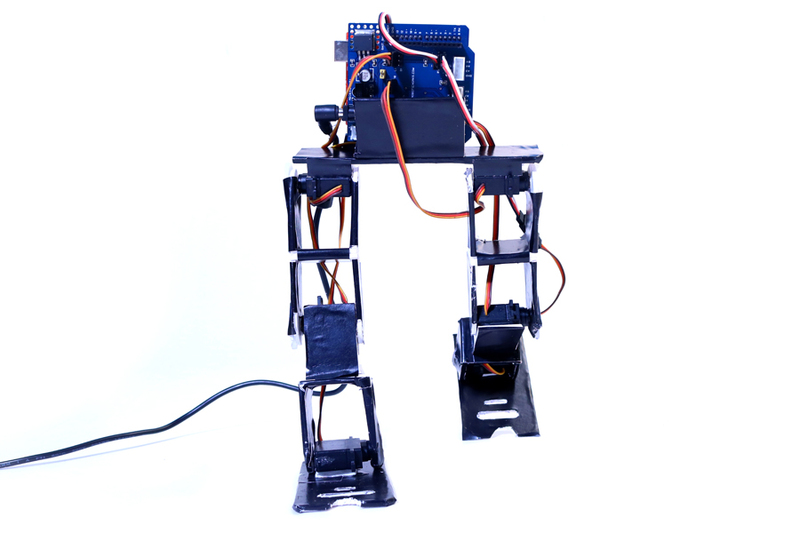 This kit will be a dream come true - making your robot WALK! 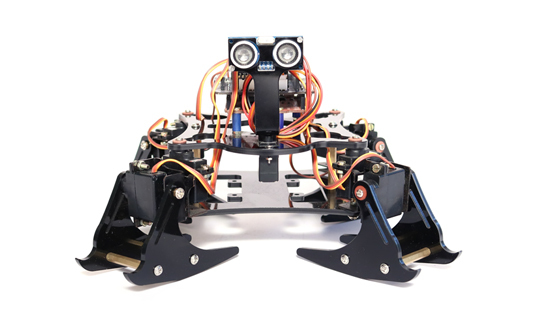 Its a Four Legged Robot(since you will be coding from the scratch, four legged is easier to balance and quick to complete). 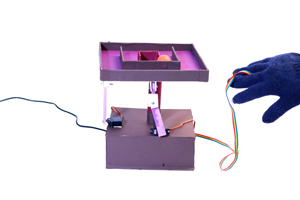 However, from the concepts learnt, you can even build a humanoid, 2 legged robot, yourself. 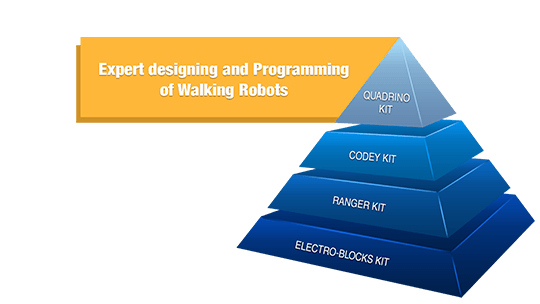 The course will take you through the algorithm framing to understand the dynamics in a walking robot, how to maintain the CG, how to translate the algorithm into a code and more..You will make the robot walk in different ways and even control it with gestures. How many hours will this keep me engaged? 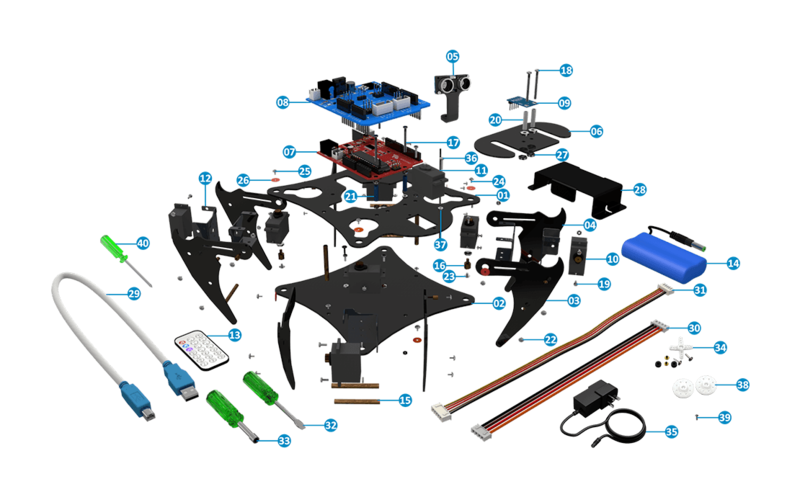 This kit requires 40 involvement hours (which includes course time, building and coding time and test time). These 40 hours is to learn all the concepts, post that you can involve yourself in building and completing 100+ projects with the same kit. What is the syllabus taught with this kit? 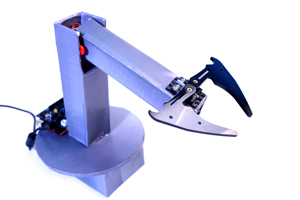 Introduction to complex sensors/ Accelerometers – Working, Types and Specification/ Ultrasonic – Working, Types and Specification/ Voltage and Current concepts in Servo working/ Parameter alterations in Walking Robots. 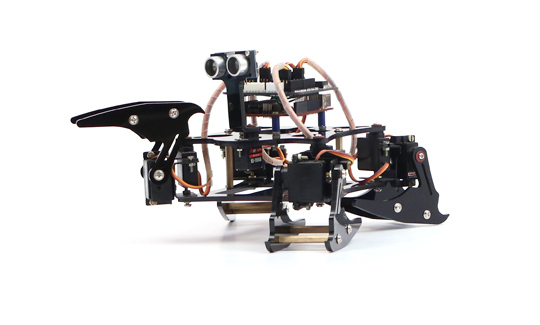 Introduction to Degrees of Freedom/ Servo positioning mechanism and usage/ Designing walking Robots/ Effect of DOFs in one leg/ Effect of number of legs/ Effect of material/ Other aspects in Walking Robot. Flowchart Algorithms/ Components of flowchart/ Representing different conditions and loops/ Representing previous concepts in flowchart/ Concept of Accelerometer based Robot/ Concept of Ultrasonic Robot/ Walking Robot methodologies/ Types of walking/ Advantages and disadvantages/ Analyzing the possible conditions/ Simulating the output. What can I do with the kit after I learn? Really? What you can do? There are many students in our community who have created real applications with the kit and received awards with it. This kit is not a toy, and you can indeed mix and match it with the previous or later kit parts - it is open for you to explore and go beyond. What if I have doubts while learning? How can I clarify my doubts? There is Live Tech Support through your online account – with text, video and screenshare support. The live tech support will be available from 10am to 8pm (Monday holiday). For general info, you can always contact us – our friendly support team is always here to answer. Will I get a certificate after completing? Will there be tests and scores? After each chapter, there will be simple tests and scores to assess the applied comprehension of that specific chapter. At the completion of all the Chapter tests, you will be awarded with Completion Certificate. If you need the Master Certificate, you should build a project (any inventive thought would do), take a video of it and submit it online. The video will be assessed and Medal alongside Master Certificate will be given. What is the recommended Internet speed to learn online? If I order now, when will I get the kit? And when can I start learning? *Kits shipped outside India will not contain batteries – Instructions will be provided in the package for using alternate power source. 1. Top Plate -1 nos. 2. Base Plate -1 nos. 3. Servo Leg -4 nos. 4. Support Leg -4 nos. 5. Ultrasonic Sensor Set -1 nos. 6. Accelerometer Mounting plate -1 nos. 8. Gait Shield -1 nos. 9. Accelerometer Sensor -1 nos. 10. Mini Servo Motor (Metal Gear) -9 nos. 11. Micro Servo Motor (Plastic Gear) -1 nos. 12. Servo Clamp (Mini-Servo) -8 nos. 13. IR Remote -1 nos. 14. Lithium Ion Battery (2 cell Li-ion) -1 nos. 15. Brass Spacer M3x40 (F-F) (Pack of 5) -2 nos. 16. Brass Spacer M3x6 (F-M) (Pack of 5) -2 nos. 17. Slotted (Minus) M3x25 Screw (Pack of 10) -1 nos. 18. Slotted (Minus) M3x35 Screw (Pack of 10) -1 nos. 19. Slotted (Minus) M3x10 Screw (Pack of 10) -2 nos. 20. Plastic Spacer M3x20 (White) (Pack of 10) -1 nos. 21. Plastic Spacer M3x10 (Blue) (Pack of 10) -1 nos. 22. Phillips (Star) M3x10 Screw (Pack of 10) -3 nos. 23. Phillips (Star) M3x5 Screw (Pack of 10) -2 nos. 24. Self Tapping M2x4 Screw -1 nos. 25. Phillips (Star) M2.5x4 Screw (Pack of 9) -1 nos. 26. Fibre Washer 3mm (Pack of 25) -1 nos. 27. M3 / 3mm nuts (Pack of 25) -3 nos. 28. Battery Clamp (Li-ion 2-cell ) -1 nos. 29. USB A- B Cable -1 nos. 30. 4 pin RMC (Female-Female) 15cm -1 nos. 31. 5 pin RMC (Female-Female) 1m -1 nos. 32. Screw Driver (Slotted/Minus) -1 nos. 33. Nut Driver -1 nos. 34. Servo Accessories -1 nos. 35. Charging Adapter (9V 1Amps) -1 nos. 36. Slotted (Minus) M2x10 Screw (Pack of 5 ) -1 nos. 37. M2 / 2mm nuts (Pack of 5) -5 nos. 38. Servo Horn -9 nos. 39. Phillips (Star) M2x8 Screw (Pack of 5) -4 nos. 40. Screw Driver (Phillips/Star) -1 nos. Prefer to phone? Give us a call from 10am to 8pm.